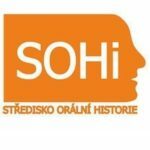 The Center for Oral History (SOHI), part of the Department of History at the Faculty of Education of the University of West Bohemia in Pilsen, was established in 2009. The Center closely cooperates with COHA (the Czech Oral History Association). Our Center focuses on creating a database containing interviews with narrators, on cooperating with other historical research institutions (University of West Bohemia, the Archive of Pilsen and the State Regional Archive in Pilsen), on publishing our MEMO Journal and on popularization of oral history in primary and secondary schools (for example our Center organizes a competition for primary schools – the SOHI historical competition. For more information, please visit our website).